Theme park attractions based on popular movie properties have been around for a long time now. Millions of people have passed through the gates of parks like Disneyland and Universal Studios, and now 20th Century Fox is getting in on the act. 20th Century Fox World, Dubai will focus on several well-known Fox productions. The list of properties currently includes Ice Age, Rio, Planet of the Apes, Aliens, Predator, Night at the Museum, Titanic, Sons of Anarchy and The Simpsons. Considering the combination of heavy, action-packed, adult themed drama and attractions perfect for kids, the park is obviously hoping to bring in a wide variety of customers. 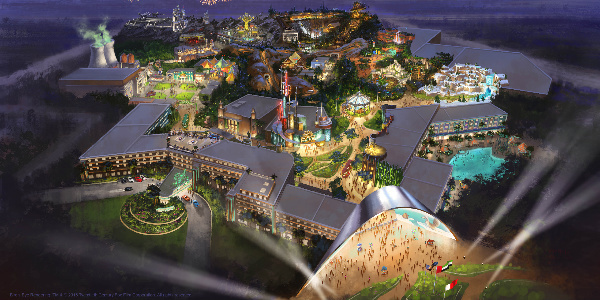 Rides will be focused on having attendees experience these properties, but there are also plans for the theme park to include a resort, retail stores and restaurants that focus on the themes of each film or television show, as well. 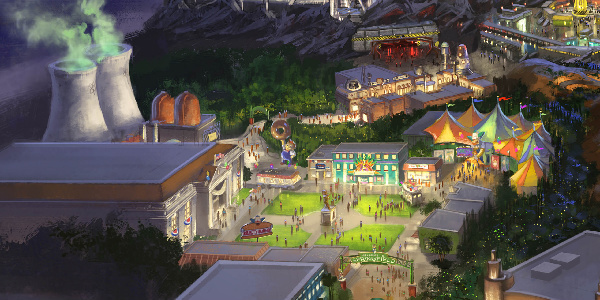 Right now the concept art for this park looks pretty cool. The Simpsons section is very much a look at the main parts of town, and even allows visitors to get a look at Springfield’s most iconic feature: those nuclear plant towers. 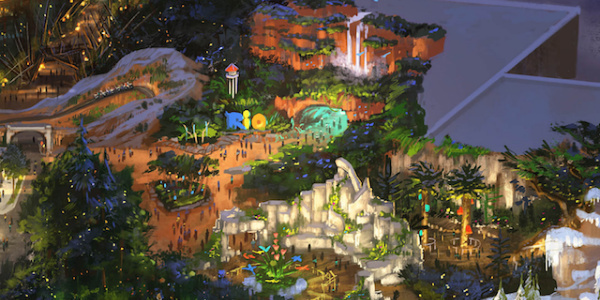 The Rio section is planning to include a giant waterfall and plenty of spaces for lovely birds of all kind to make nice little homes. 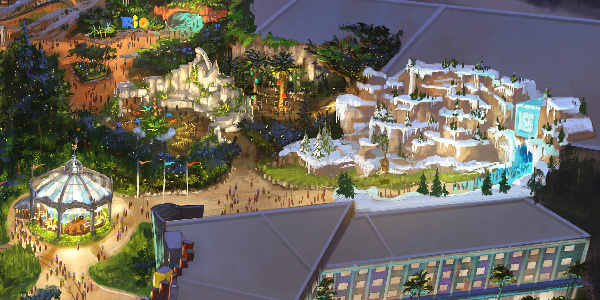 Ice Age land is will cover its area with snow, a frozen waterfall and a character themed marry-go-round. The more adult themed areas are a little bit scarier looking. There are motorcycles parked outside what looks like a very intense bar, some sort of ride filled with very dangerous giant spikes, and a darkly futuristic air field. This will be the second 20th Century Fox World theme park. If you’re thinking “There’s already a Fox themed park I can visit to lighten my wallet and keep my kinds entertained for hours on end?”, the answer is…sort of. The first park is actually being built right now, but there is kind of a catch to that. See, it’s in Malaysia. So, unless you want to add either of these far away exotic lands to your vacation itineraries, it’ll be a while until you get to witness the splendor of Springfield’s nuclear power plant any time soon.